IIRC the mini came with the second trade paperback collection. And yeah, I’m looking forward to this complete collection. I only was ever able to get the second trade and a few random issues, so it’ll be good to finally be able to read the whole thing. I can’t wait to pick this up. 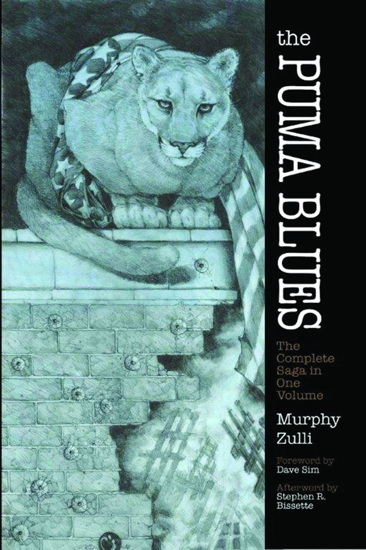 I read Puma Blues piecemeal and out of order — it took me a long time to track down all of the issues. I look forward to reading them in order and finding out how the whole thing ends. the diamond solicitation says that this contains a “new” story by Alan Moore. I have a feeling it’s just a reprint from issue #20 though. can you let us know, Mike? I’m so excited about this book. I’ve never read a page of it. But Stephen Murphy’s TMNT Adventures comic was my gateway into comics. It was only a few years ago that I heard Puma Blues existed but I never pursued the single issues. Once this collection was first rumored a few years ago, I’ve been waiting for it. The ending?!? BRB, knocking over a gas station. Dover is killing it with their reprints. As with most people, I know Dover for their ultra-cheap versions of public domain books – and they are a solid, reliable source for those. But their graphic novel reprints, besides being great choices across the board like Sam Glanzman USS Stevens and Bozz Chronicles, are beautifully published. 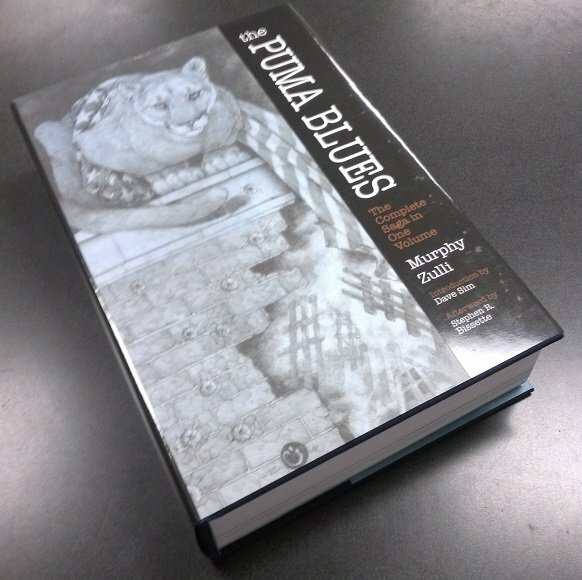 That Puma Blues book is solid, thick, white paper and 560 pages for $30 – which, if my math is correct, is a cheaper per page cost than the original newsprint version. So I got this today, and immediately noticed that along the inside cover, the binding has split just a bit. Did this happen to you? I know it’s a thick book, but that’s annoying, and Dover’s reprints are usually just nicely put together. It doesn’t appear to be too bad if you just open it to random pages, but I was just wondering if it happened to you, too. But yes, it’s a beautiful book, and it’s nice to finally have it! I just noticed that one of the books Dover has coming out is MURDER BY REMOTE CONTROL by Janwillem van der Wetering and Paul Kirchner. This was an early effort (mid-1980s) by a mainstream publisher (Ballantine) at an original graphic novel. It earned a review in the New York Times, but otherwise failed to make much of an impression. Comics fans ignored it because it was promoted primarily to mystery readers (van der Wetering being a big name in that field), while mystery readers presumably did not care for all the pictures and, I suppose, the story’s frequent forays into the surreal. I hope it gets more respect this time.